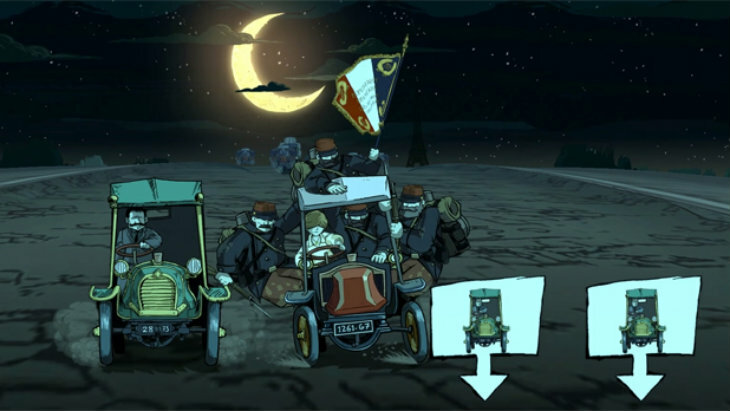 Valiant Hearts is the latest indie-esque release from Ubisoft. It uses their UbiArt Framework to bring the horror and devastation of World War I (also known as The Great War) to life. If anything, I think they did their job too well. The game centers around three men, a woman and a dog: Emile, an old farmer, drafted into service despite his age; Freddie, an American soldier fighting for the French to honor his dead wife; Ana, a Belgian nurse tending to wounded soldiers and driving like a demon; Karl, a German living in France at the start of the war, drafted into service and separated from his wife who happens to be Emile’s daughter; and the dog, who interacts with each of the characters and receives plenty of belly rubs for his help in solving puzzles. Each of the male characters are rather nondescript in their appearances – gruff faces often unidentifiable from the next man except by beard or hair color. It is their emotional journey, rather than physical appearance, that keeps the players connected. The course of the game spans from 1914 at the outbreak of the war until 1918 when it finally comes to an end. For those who know their World War history, the game is incredibly accurate and includes stages at most of the major points in the war, most notably Ypres and Verdun. However, the focus of the game is depicting the war at a human level, not the grand scale that we normally see. WWI was about mud, the invention of tanks, the horror of the trenches and the reliance on the mail and rail services. All these elements are fully entrenched in the game – the stress and fear is immense as Emile digs through the thick mud, occasionally encountering unexploded shells that trigger on impact. The reality that death is a misstep away is integrated throughout the game, leading to some serious emotional turmoil. That is the true crux of the game, bringing the reality of World War I to life. Most people have very little knowledge about The Great War – they might know about the trenches, or perhaps have the odd bit of random factoid knowledge that they can share. However, as far as wars go, it doesn’t get a lot of attention. This year marks 100 years since the outbreak of the war, so it makes sense for a game based so heavily on historical fact to come out now. The goal of the game is to make us remember the horrors of the war, to never forget the men and women who gave their lives. It certainly does that, particularly towards the end when you’re using mounds of dead bodies as cover, however it makes some rather weird gameplay choices along the way. Most of the game works as a puzzler. You need to find the necessary items, interact with objects and progress towards achieving certain aims. Unfortunately, this part of the game is rather uninspired. 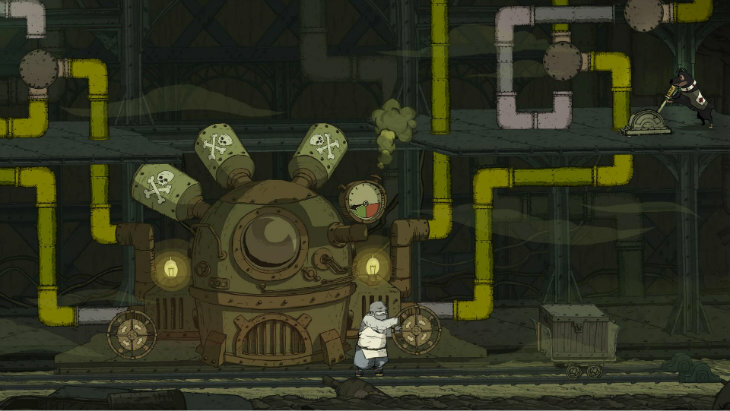 Oh look, I need to turn a wheel to adjust pipes in order to change the flow of water/steam/gas. Or what about the level that basically amounted to wandering around the map opening closets and cupboards while searching for some first aid items? Unfortunately, this is not the worst of the weird gameplay decisions. That award would go to the driving sequences. Kudos to Ubisoft for having Ana as the ace driver, but her driving levels are so bizarre they end up feeling like a strange dance as players must dodge obstacles to musical tracks such as “The Tango” (as heard in Adams Family Values) and Wagner’s Flight of the Valkyries. These generally follow very emotional sequences; I’m sure the goal was to lighten the mood but instead it broke the realism of the game and made it seem almost ridiculous. Other ridiculous elements include blasting steam at a Zeppelin using a series of organ pipes during a boss battle. While well executed, it simply takes away from the power and emotion of the story telling without adding gameplay that is particularly worthwhile. It’s not all bad when it comes to gameplay, though. There are well designed stealth portions as you must sneak past guards, as well as heart-pounding action sequences that see you running to avoid mortar attacks or taking cover from machine gun fire. However, the majority of the gameplay feels like an uninspired tool rather than a core part of the experience. For the most part, I believe Ubisoft achieved their goal with this game. The characters are compelling, and I did become attached to each of them in a particular way. The emotions run high, and by the end of the game I was practically in tears. 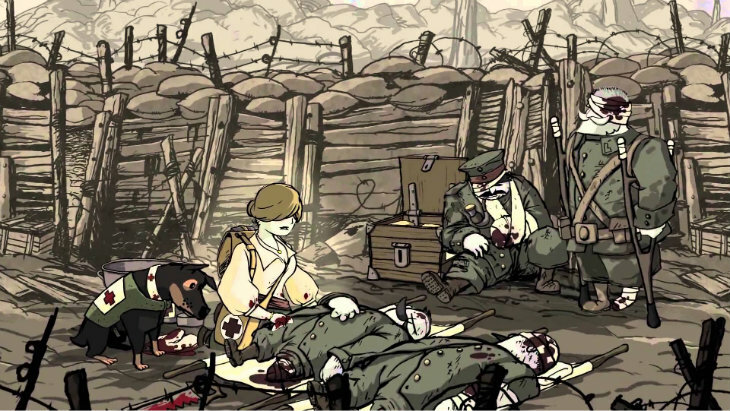 Valiant Hearts successfully tells the story of World War I from a very human perspective and will help keep the memory of the war alive, for at least a little longer. It is excellent as a piece of storytelling, historical commemoration and emotional catharsis; I’m just not convinced that it’s an excellent game. 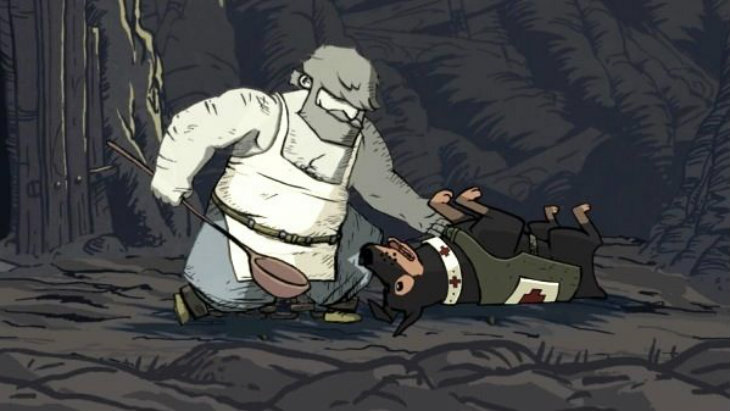 Valiant Hearts is a good game offering an emotionally satisfying experience. With about six hours of gameplay (depending on puzzling speed) it has solid value. As humans, we should all play this, even though it's not the best gaming has to offer.